Nokia made a classy comeback at 2017 Mobile World Congress with its series of products that cater the widest ever audience around the world. They are ready to serve the most basic need of calling through their Nokia 3310 and at the same time, fulfilling the needs of tech-driven personalities with Nokia 3 and Nokia 5. The first one retains its basic architecture while the other two are carrying the features that may lure buyers back into the Nokia lineup. 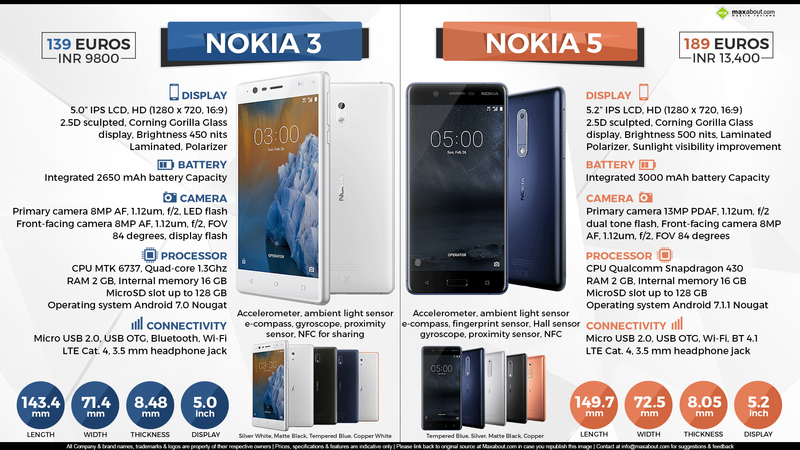 Read More about Nokia 3 and Nokia 5.